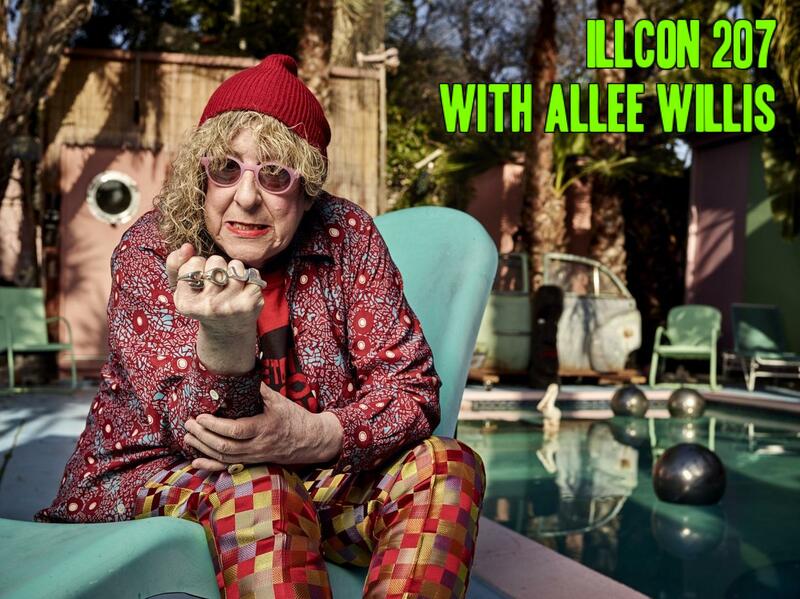 Illogical Contraption podcast 5/1/16 – Whatchu Talkin Bout, Allee Willis? An interview with Allee Willis, the woman behind your favorite songs by Earth, Wind & Fire, The Pet Shop Boys, Boy George, Fishbone and more! She also wrote the theme to Friends, Howard The Duck, created the set for Just Say Julie, is best friends with Lily Tomlin, Paul Reubens and is still out there creating amazing stuff! Filmmaker Patty Greer breaks down the truth about crop circles! Hint: It’s not humans or aliens from outer space making these things. Cory’s fitness tips, Shelby’s fashion tips (for young women)! See Al’s Visual Guide to the show and read the chatroom!